November 15, 2006 by Christoff Truter This post is closed for comments. Found a temporary place to stay in Cape Town, until I find something else yayyyy! Now for the big move :), cant wait, getting rather excited! 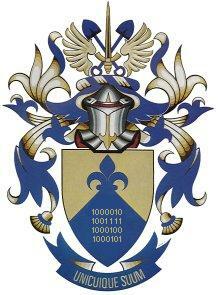 In other news, I found my "coat of arms" on the internet, modified it a bit :D.